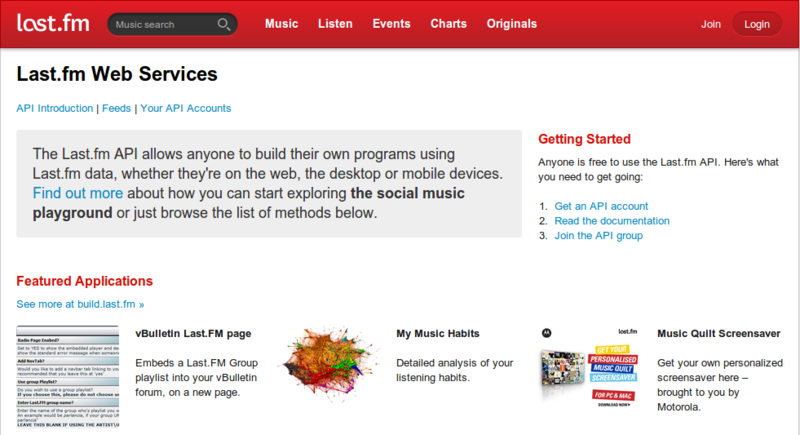 Using last.fm API, developers may create applications to fetch and sort from a huge collection of music. 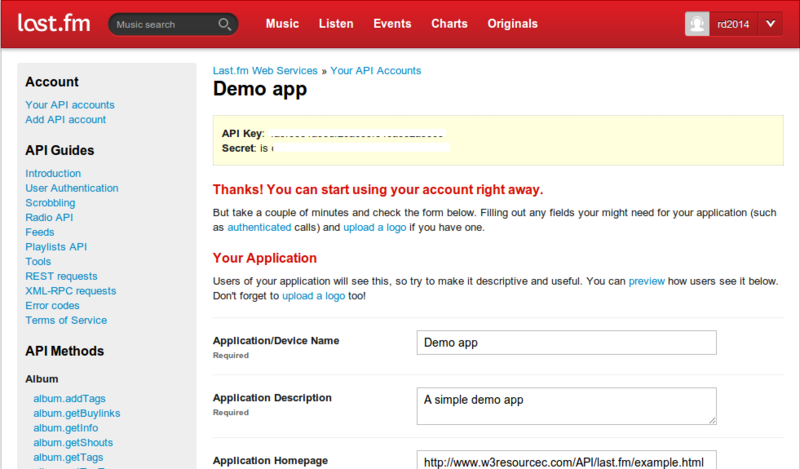 In this tutorial, we will create a simple application using last.fm API. We will fetch top artists and their playcount and will render those, ordered by playcount in an HTML page. Go to http://www.last.fm/api. Click on the link "Get an API account". Login to last.fm if you have an account there. Optionally you may login using your Facebook account. Once logged in, it will ask to select kind of application you are going to create. For now, we select Non-Commercial. Also, provide the form with Application/Device Name, Application, description and Application homepage. Click on Create account. At the end of the process, you will end up creating an app with an API KEY. In this app, we will fetch top artists and their playcounts and render those within an HTML page.